There’re so many ways we can consume media these days that televisions are seldom needed outside of our home. Phones, tablets, and even watches (probably) allow us to watch the latest episode of The Walking Dead or Match of the Day whilst sitting on the train or sat at our desk at work, something that I clearly never do. 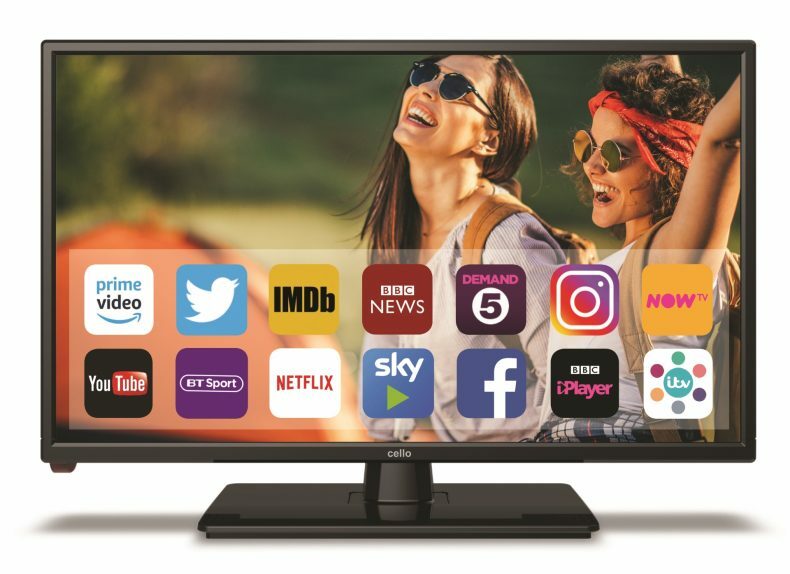 When I got the Cello Traveller TV for review, it got me thinking why you’d need a TV to take outside the home when we can watch and do so much through our phones, but this is no ordinary television. Firstly, the TV is so light it makes it more than easy to carry, and also set up. It slots into the stand in seconds, and takes only a few screws to secure it to the base. I don’t advise you to pick it up with one hand, but it’s light enough that your kids will be able to carry it with ease (if you trust them, of course). This makes it easy for going on a car ride, not just because it’s a dream to move, but because it can be powered thanks to the domestic power adapter, meaning you can plug it into the car. Of course, knowing where to put it might be the issue, but if you have a caravan in today’s day and age, it’d be the perfect TV. It’s also ideal for use as a secondary TV in the bedroom or the kitchen. It being 22″ means that viewing is satisfactory for an episode of your favourite show, or even a film if the mood takes you that way, and the full HD capabilities make the picture clear. I made great use of the TV for when my wife was watching her soaps and I was playing games. Whilst the picture is good, it’s tricky to make out some of the dialogue in the subtitles if you use them, but that’d be the same with any TV this size. The sound isn’t amazing when listening through the built-in speakers, but when you’re listening through headphones it’s much better. I played a lot of The Division 2 through headphones, and the audio was surprisingly good. It’s decent for the price of the television, and if you’re not a snob – sorry, connoisseur – then you’ll have no complaints when it comes to the sound. The Cello Traveller TV has plenty of inputs, allowing most DVD players and games consoles to be plugged in thanks to the two HDMI adapters. There’re also three USB inputs, a VGA/PC input, a headphone input, and digital audio as well. If you’re wanting to make use of the TV for watching something, there’s an aerial and satellite input allowing you to connect to terrestrial or digital channels, making it relatively simple to set up. There’re plenty of options for you to consume all sorts of media on your travels thanks to the wealth of different connections, and all are straightforward to use. Not only do you have the option to connect so many devices to it, the Cello Traveller TV also has an ethernet connection, and will connect to the WiFi too, making the Smart TV functionality one of the units best features. After a quick setup, you’ll be able to watch Netflix, BBC iPlayer, ITV Hub, All 4, and so much more if you’re in an area with a decent internet signal. Not only that, but you can also make use of the entirety of the Google Play Store, so if you want to catch up on the latest news via the BBC or CNN apps, or fancy checking your Facebook and Twitter feeds, you can. It’s another feature that works well, but a decent connection is vital. The Cello Traveller TV is a handy piece of equipment if you’re wanting to take it on your next camping trip. Without a decent internet signal you’ll be limited to what you can do with it, but that doesn’t mean you can’t hook up a DVD player and keep the kids quiet whilst you and your partner enjoy a few moments of peace. The Cello Traveller TV is a decent piece of equipment if you're looking to take a television on your next camping trip.